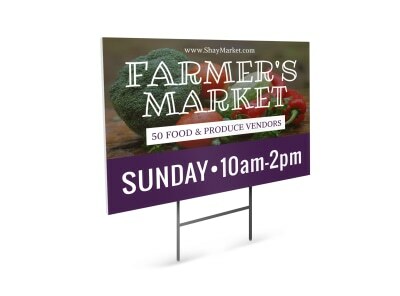 Attract new growth to your farmer’s market, crop insurance office, or elevator with custom-designed yard signs lining the streets and classing up the gravel roads around the countryside. Our team of professionals has cultivated an abundant crop of agriculture yard sign templates for you to choose from. 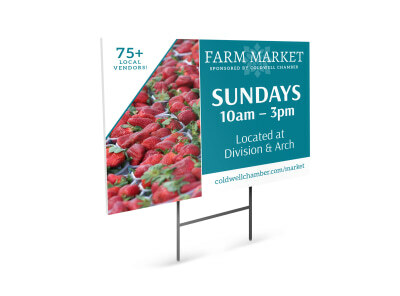 Use our online editor to customize the yard sign template that will give you the greatest yield and a bountiful harvest. We can even print your signs and haul them straight to you!